Whether it’s the simple life that your after, or just that you don’t want to miss out on the fun when you’re friends head off on a boozy weekend away, camping doesn’t have to mean cramp tents and musty cabins – thank gawd for that coming from a very-non-tent-friendly family. With the constant niggle that it’s going to pee down with rain (anyone else get homesick for their big hair rollers?) a long weekend is a perfect length of time. Check out these swish options in and around Cambridgeshire that aren’t too far a trek to make us happy campers. 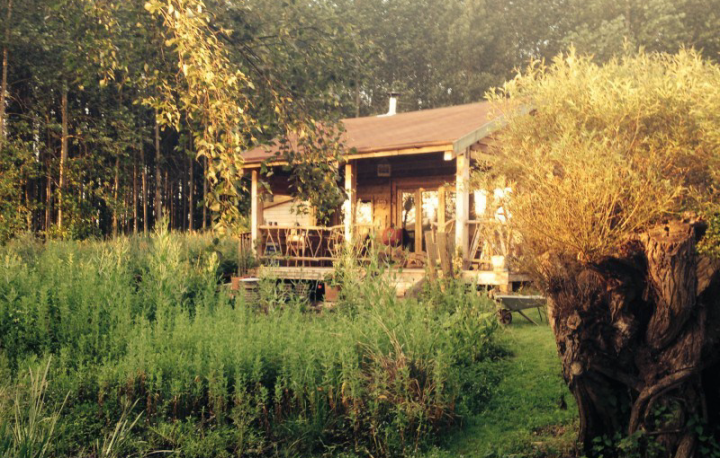 If you’re up for embracing nature but not into communal washing, damp bedding and all those other delights of camping (I’m right behind you) then this timber-built luxury cabin offers a perfect balance. A couple of hours drive from London and nestled in woodlands by the River Nene, not far from the market town of Oundle, the Arc Cabin has a homespun yet contemporary feel – there’s a unique style to the bright fabrics, and more than a hint of design about the finishing touches. An iPod dock, woodburner and original artwork on the walls bring the beautiful weathered furniture, well-thumbed novels and crocheted rugs up to date. 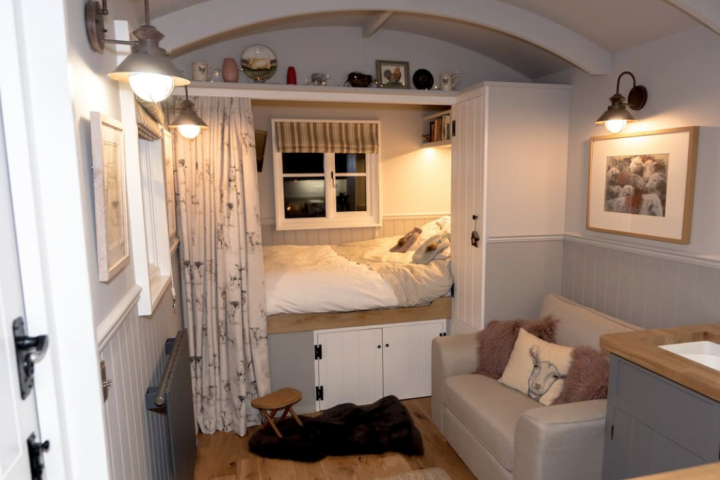 It sleeps 4, 2 adults and 2 kids, with a king size antique French bed and a mezzanine floor with twin beds accessible via a ladder – you’ve got to be over 8 to climb this one. The bathroom has both a claw-foot bath and separate power shower – there’s luxury where you need it. 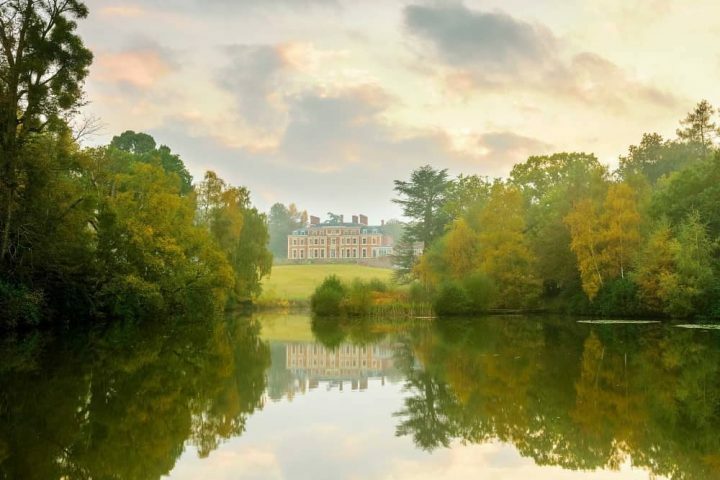 Immerse yourself in a book on the verandah or enjoy the many walks along the river – Kenneth Grahame is said to have stayed next door, drawing inspiration for The Wind in The Willows. Lotte’s background as a nutritional therapist shines through in the cabin: passionate about food and health, she’ll leave you some of her favourite local treats to start you off. If the chef’s on strike don’t panic – there are two great pubs in the village to make sure you’re fed and watered. 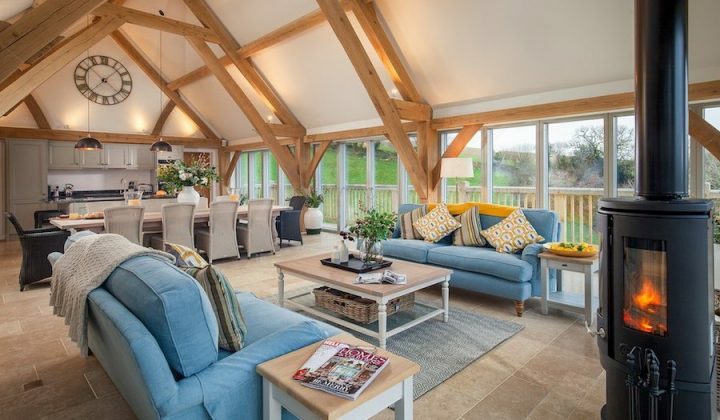 In under an hour from London, and a hop over the border in Beds you’ll find New Barn Farm – a haven for families that want to experience living on a farm, glamping style. There’s Poo the pig, the pygmy goats, ponies to groom, (you can bring your own if you have one in your cupboard) and eggs to find. Loose the kids in the woodland – there’s heaps of space to make camps, cycle (bikes are available to use) and generally run-a-muck. 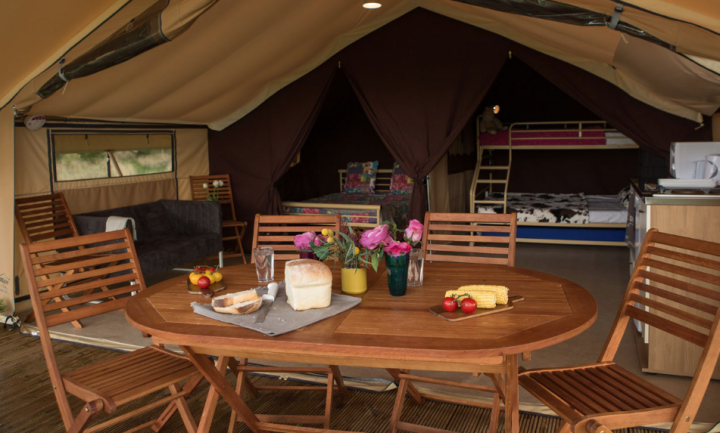 The canvas tents have all the luxuries you would expect from glamping, all you have to do is bring your clothes –– there are two different types to choose from, one has an en-suite shower room whilst the other uses communal facilities – whatever’s your preference. If you’re looking for an opportunity to get the stilettos on it’s only a short drive to the bustling market town of Olney with shops, art galleries, cafes and pubs. The farm is run by Will and Hannah who are foodies as well as farmers, homemade dishes and other delights can be found in the honesty shop. Think Cambridge, think historic university buildings, quaint cobbled lanes and a gentle punt down down the River Cam – not necessarily a canvas bivouac! Head south out of the city for a few miles, between the villages of Trumpington and Great Shelford, you’ll find this rural campsite with bags of space but still close enough to explore the city. 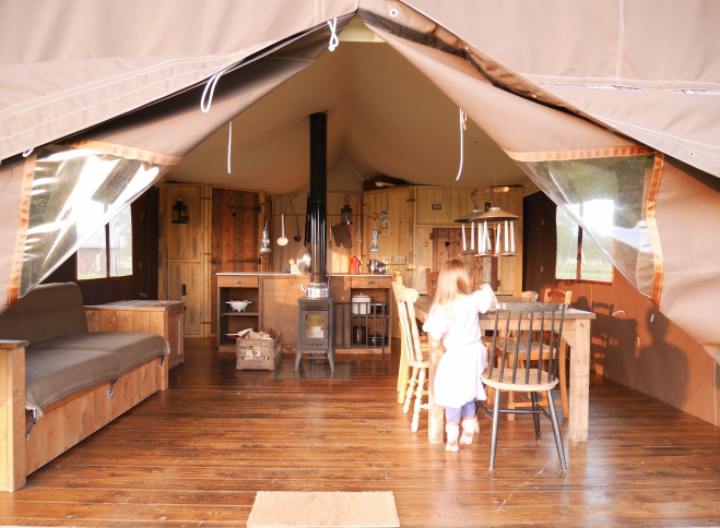 On site you’ll find three canvas wrapped safari tents aimed squarely at camping enthusiasts who don’t want the bother of, er, camping. All well equipped with the usual paraphernalia that’s required to sleep, eat, cook and live comfortably – there are real beds, a dining area, cooking facilities and a decked outside verandah. The site itself has showers, washing-up areas, laundry amenities and a children’s playground – it takes tents and caravans so expect to have company but there’s enough space so that you’re not squashed in. This is hassle-free camping – feel like you’re having a go at the real deal without the need to cart a boot full of camping toot with you. A perfect spot for exploring Cambridge and The Fens beyond on foot or by bike. It’s not quite a Winnebago but it’s getting close. If you’re planning on going to a festival this summer or even heading to the warmer climates of France and Spain (is there space in the boot) then this comfy, warm and dry motorhome could be your saviour. This family-run hire company offer a range of vehicles from 2-7 berth all equipped with bike racks, tv/dvd/freeview, outside table and chairs and a few more things I forgot to write down. They have dog friendly vans and if you’re attending an event locally they offer a drop-off and pick-up service – you won’t have to park the darn thing. Granted it hasn’t got the hippy chick look of a retro VW camper van but it goes faster, doesn’t break down and has the added space and luxuries – choice is yours but looks aren’t everything as I keep reminding Mr Muddy! There’s something very romantic about snuggling up in a cosy shepherds hut, in the middle of nowhere – this is glamping for those that like life’s little luxuries. The Avenue Farm Shepherds Hut in Elsworth, just east of Cambridge has been recently renovated – with Farrow & Ball paint, industrial style lighting, beautiful drapes and blinds, hot water bottles – not that you’ll need them as the hut’s heated but hey, they look darn good – it’s the kind of décor I’d like in my home. There’s a small but well thought out kitchen if you want to rustle up something to eat and there are two pubs nearby if you simply can’t be bothered. A shower room, private garden with tables and chairs, luxurious linens and towels, TV and even wireless access – anything else that you need? The owners live nearby but they’ll leave you alone unless you holler – free-range products (some from the farm itself) will be left in your fridge so that you can cook your own breakfast. 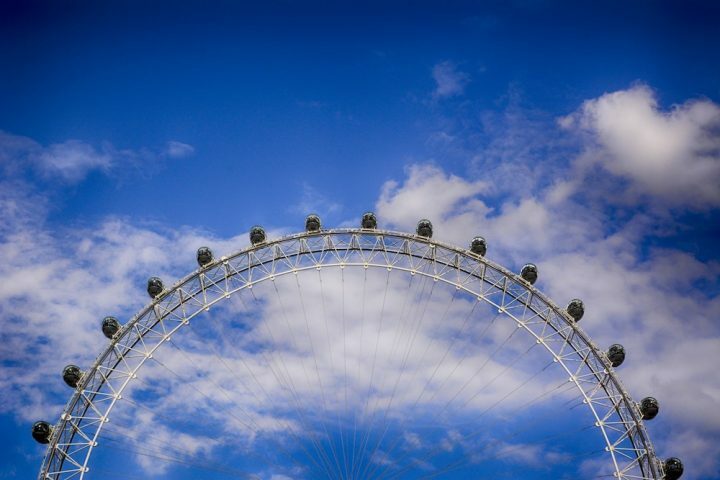 The hut is ten miles from Cambridge – perfect if you’re up for exploring the city and all that it has to offer and with easy access to the A14 and the M11 you can be in London within the hour. Well that’s blown that secret, as I’m just about to spill the beans. This beautiful 11-acre spot in the heart of the Fens, a few miles west of Wisbech, hosts a small number of pitches for real camping – it’s all about getting away from the crowds and back to nature. If you’re not keen on the canvas thing then they have a camping pod (named Skypod) and new last year, a tipi, both of which can sleep 4. With an extensive landscaped play area, exploring space with a maze, two picnic areas and an adventure/play field – the kids will love the freedom. All pitches are equipped with fire pits, logs and fire equipment are sold at the on-site shop – handily it also sells anything you might have forgotten like toothpaste as well as s a host of products from local farms and sources – bacon, eggs, sausages, jams to mention a few. There’s a brewery too so you can fill your boots with local ale! 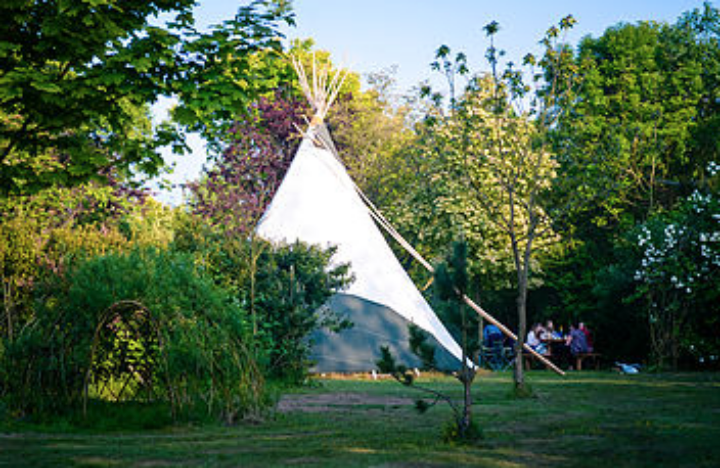 The Secret Garden has a communal feel – every Sat they host a Beer & Sausage tasting and they run frequent bushcraft workshops- not compulsory but it demonstrates the friendly vibe of the place. This site does expect campers to bring their own equipment and bedding so bear this in mind when you’re booking. As ever would love to hear your thoughts and don’t keep it a secret if you know of somewhere equally as special – knowledge is power, so do share!